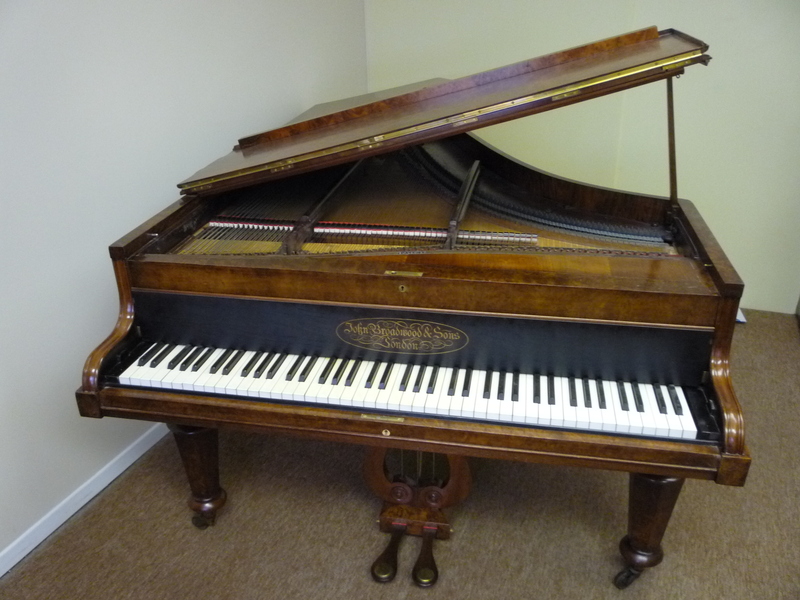 A website dedicated to one instrument, Broadwood & Sons cottage grand serial number 507, built ca 1870. The piano is undergoing a full rebuild by Ralph Thorn Pianos in the London Ontario Canada area. Details of the ongoing work are described on this site and you are invited to view the work as it proceeds. This piano is for sale. A beautiful 6′ grand finished in burl walnut, 82 keys, ivory and ebony, English grand action, straight-strung, the ideal instrument for experiencing the early piano repertoire. A light action and delicate sound, clear throughout. Very rare.